SRT and RTL replaced by RT type. 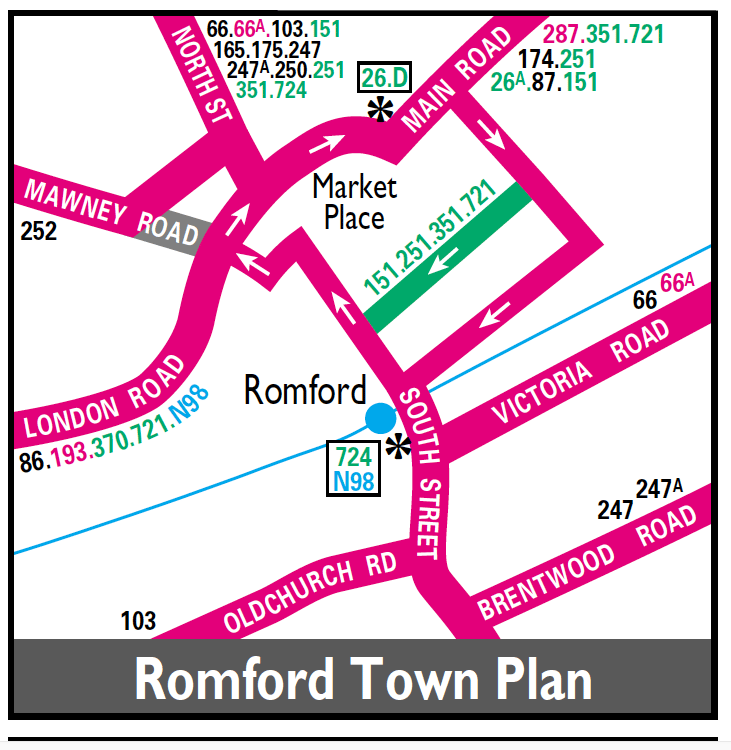 Sunday withdrawn between Romford and Gants Hill. Diverted at Romford to Collier Row. 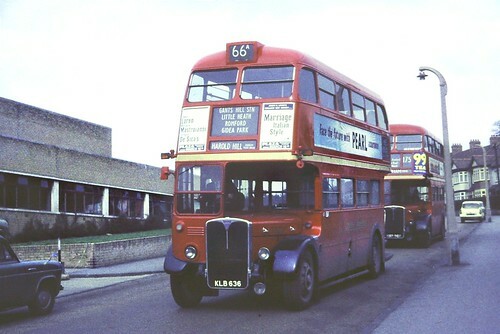 RT1564 on the 66A leaving North Street(NS)Garage in 1965.